On January 30, 1781, Maryland was the thirteenth and final state to ratify the Articles of Confederation, which took effect on March 1, 1781. In comparison to the current U.S. Constitution, the Articles of Confederation designated less control to a central government, leaving most of the power with state governments. 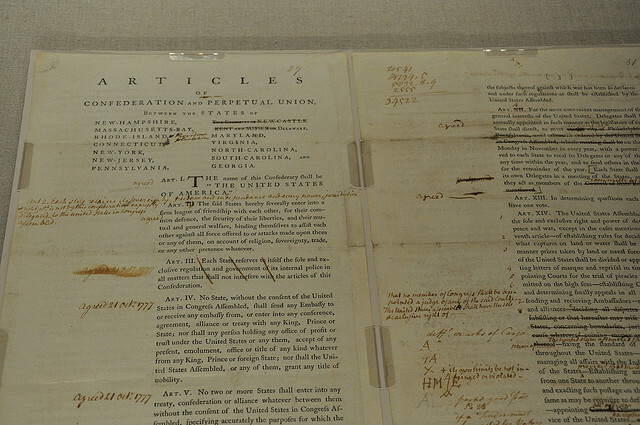 Due to the need for a stronger central government, the U.S. Constitution replaced the Articles of Confederation on March 4, 1789. By Virginia Commission on Constitutional Government.